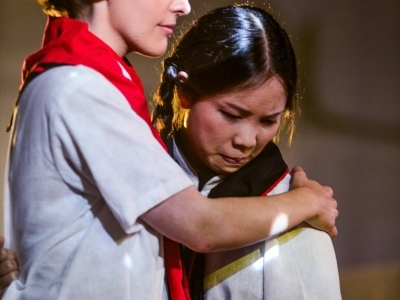 Kommilitonen!, an opera for young people about young people. 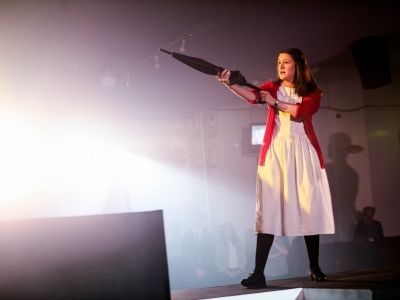 Kommilitonen!, an opera for young people about young people, is the latest production by the acclaimed WNO Youth Opera following the RPS award winning Paul Bunyan in 2013. 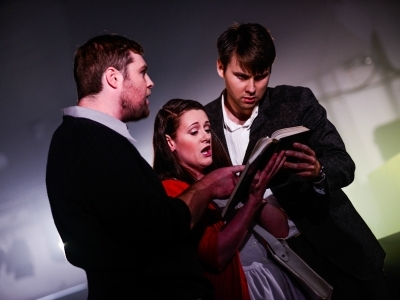 Each WNO Youth Opera production gives the brightest emerging performers, musicians and technicians an opportunity to take centre stage benefitting from the support and expertise of this world-class opera company. Kommilitonen! intertwines three stories of student revolution in the 20th century - the Chinese Cultural Revolution; the Civil Rights Movement in the USA; and the White Rose movement in Nazi Germany. The three stories come together at the end of the opera, locating the action between the present and the past, and evoking the tyranny of the three political systems that the opera explores. For an opera about revolution, it’s important that we don’t just sit passively in our seats but feel part of the action. 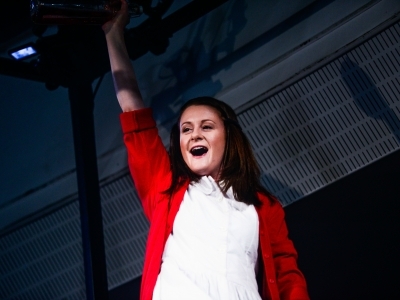 Polly Graham’s promenade production seizes on this idea by putting the audience in the heart of these stories and combines innovative visual projections with a spectacular set transforming Barry Memo into the frontline of 20th century turmoil.